Here is an interesting tale which I think demonstrates some of the extremes involved in the psychiatric industry. 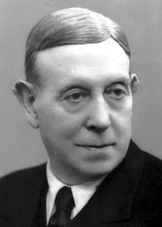 António Egas Moniz was a neurologist who went on to become the founder of modern psychosurgery. He invented the procedure called leucotomy. In 1949 he was the first Portuguese National to be awarded the Nobel Prize. Leucotomy is a prefrontal lobotomy. In Moniz’s words “Prefrontal leukotomy is a simple operation, always safe, which may prove to be an effective surgical treatment in certain cases of mental disorder.”He tested this procedure on some human patients and after reporting that his procedure worked and achieved good therapeutic results for the treatment of mental illness, the industry started adopting this wholesale. Now I will link to the Wikis for both Moniz and the procedure itself so you can view on the net what info there is. I had a book – It was either called ‘Blaming the Brain’, which a former psychiatrist, Dr. Nirmalie Mirando, stole from me, or it was called ‘Madness Explained’ which I’ve lent out to a bloke I met in the hospital on my last admission. I refer you to these books as both are good and one of them has a lot more detail on the Moniz case than I can find on the net anywhere after a good old trawl. Perhaps I will return and edit the post when I get the correct books back. One of the patients that had an early leucotomy, not by Moniz himself, but from memory, was actually in another country entirely, was so annoyed at having his brain partly removed, and suffered to such an extent, that he tracked Moniz down, and, laying the blame on him for having introduced such a vicious technique to the world, shot him. He spent the rest of his life in a wheelchair and died in 1955. I won’t bore you with too much with medical details but notice in the leucotomy post how the technique was developed by testing on chimpanzees. Now, the sort of people that are prepared to do this to an animal and then proceed to do it to a human, are, quite frankly in my opinion pretty damned inhumane. If it was announced that McDonalds were doing this procedure to cattle, then letting them live on for a few years, prior to their slaughter, what sort of public outcry would there be? Likewise KFC and chickens. Not wanting to target fast food that isn’t the point. There are some really nasty people out there, I am sure, but most should hold onto their humanity enough not to want to do this to masses of people and try to convince the world that it is for their benefit. I’m not sure exactly how the lobotomised patients were initially diagnosed with Mental Illness, but I would have thought that the diagnostic procedure was about the same level of lameness as it is today and that they were out and out psychiatric victims. It sort of denigrates the value of the Nobel Prize that it should be awarded to someone for inventing and carrying this out. It’s like giving Hitler an award for services to Jewry, or something ridiculous like that. As I say, the story provokes extremes, as it isn’t right to condone the shooting of someone. But put yourself in the picture, if it had happened to you wouldn’t you be upset by it? Unless you’ve had this procedure yourself, how can you know and I’m afraid it will only be that patient who committed the shooting who knows why he did it. Is he a hero or victim, or is Moniz a hero or victim? I’d like to say that the story has a happy ending but it’s a bit mixed and ongoing. Yes, leucotomy was phased out of healthcare after about 20 years or so, when people finally realised and accepted that it was just barbaric. Took a lot of studying and ruination of humans for that to be deduced when any sensible person would not consider this sort of action in the first place? In my opinion. What emerged though, in the place of lobotomy, was the modern revolution of drugs for psychiatric treatment. The invention of Chlorpromazine replaced lobotomies and although I haven’t knowingly ahd a physical lobotomy with a surgical instrument into my brain my initial treatment after the introductory KO injection, back in 1997, was with Chlorpromazine. I’ll save that story for a later post but not wanting to spoil the surprise, it’s brutal. The argument is made that the only reason leucotomy was withdrawn was that the invention of Chlorpromazine enabled the chemical lobotomy to remove the unaesthetic procedure of physical lobotomy. Chlorpromazine, feted as the wonder drug back in the day is still used, but has been phased out. When you see the longtermers dribbling through the corridors of the inner sanctums of hospitals, those first test cases for that particular wonder drug, you can see why it was replaced, with the new ‘miracle cure’. I pity these patients, but when speaking to them and it is often difficult for them to reply due to the horrendous extrapyramidal effects, you can often tell that they aren’t harmful characters. When you’ve had a bit of treatment yourself and you look a patient in the eye you get the message without communicating conventionally. Meds have moved on and although Chlorpromazine is a sick old thing to have to take I believe that there are far worse out there on the market. Pro-psychiatry advocates may shout – well – the fact that Moniz was shot by a mental patient shows how dangerous these mental patients are. The media machine is very good at painting a picture of the occasional maniac who emerges from the mental health shadows, but I put it to you media tycoons, who so well shape the image of mental patients in order to perpetuate the profitable human tragedy of this Mental Health industry… How many of your lead psychopaths, the heavy duty ones – the mass murderers etc… How many were identified with their illnesses prior to committing these crimes. And how many identified with illness went on to commmit such barbaric crime? I imagine that statistically these figures will show failure. If psychiatry is so amazingly scientific and advanced, why so many harmful crimes are committed without these people ever being identified. Is it that the treatment works so efficiently that it prevents such barbarity from occurring by nipping everything in the bud, or does the industry just require a large pool of experimentees. I vouch for the latter side of the argument as the pro-psychiatry propaganda is a bit too good to be true. When you spend time in hospitals the patients are, on the whole non-violent and clearly victims of a rather harsh criminal style regime. I wish the mainstream media would expose some of the industry criminals as flagrantly as the household name inpatients of Broadmoor, Ashworth and Rampton. Were all the thousands of people that were lobotomised in 20 years all on the verge of becoming psychotic killers, about to murder innocent women and children? Was the treatment absolutely necessary? Bit too much philosophy in a post perhaps – trying to maintain balance. Blogging ain’t easy when you are passionate about a topic. There is medicine and there is human butchery, the line between the two should be a bit clearer. This entry was posted in #EoTFMH, Controversial, Famous Mental Healthers, Mental Health Drugs, Psychiatrists, Psychiatry and tagged Ashworth, Broadmoor, chlorpromozaine, doctors, extrapyramidal, extrapyramidal effects, famous psychiatrists, Human rights, KFC, lobotomy, McDonalds, Mental disorder, Mental health, neurology, Psychiatric hospital, psychiatrists, Psychiatry, Rampton, torture on 7th October 2011 by Wez G.